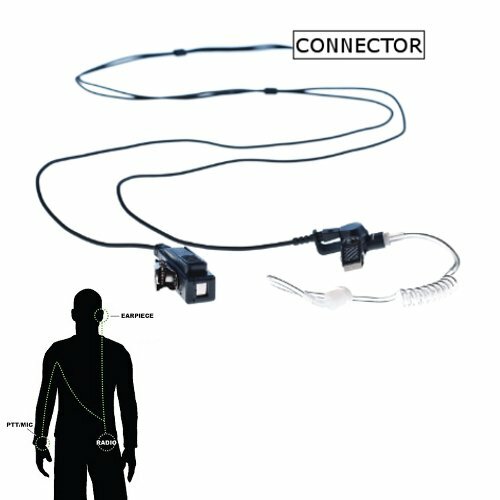 Impact K1-P2W-NC-AT1 Platinum 2-Wire Surveillance Kit Earpiece for Kenwood TK TH + NexEdge Radios (See List). The ULTIMATE covert solution in high noise environments! The new IMPACTTM noise canceling series reduces most background noise enabling the user to more clearly transmit voice in extreme noise situations such as concerts, night clubs, industrial, aviation, or public safety scenarios. Equipped with Kevlar reinforced cabling, top grade Knowles brand components, field replaceable transducers, and a THREE YEAR WARRANTY. Compatible with Kenwood TK-170 TK-208 TK-308 TK-220 TK-320 TK-240 TK-340 TK-240D TK-340D TK-248 TK-348 TK-250 TK-350 TK-260 TK-360 TK-260G TK-360G TK-270 TK-370 TK-270G TK-370G TK-353 TK-372G TK-373 TK-430 TK-431 TK-2100 TK-3100(Pro Talk) TK-2102 TK-3102(Pro Power) TK-2130 TK-3130(Pro Talk XLS) TK-2160 TK-3160 TH-072A TH-22AT TH-77A TH-78A TH-D7A(G) TH-235A TH-28A TH-42AT TH-48A TH-G71A TH-F6 TH-F6A TH-K2AT TK-2170 TK-3170 TK-2200 TK-2202 TK-2302 TK-2212 TK-2312 TK-2300 TK-2360 TK-3173 TK-3200 TK-3201 TK-3202 TK-3212 TK-3230 TK-3350 TK-3360 TK-3101(Free Talk XL) TK-3131(Free Talk XLS) TK-3230XLS TK-3300 TK-3302 TK-2312 TK-3312 TK2400 TK-3400 TK-2402VK TK-3402UK NexEdge NX220 NX320 NX240 NX340 and NX420 two way handheld walkie radios.